These are the videos from a long-secret US military programme that was set-up to probe the existence of unidentified flying objects (UFOs). The Pentagon admitted for the first time on Saturday that the $22 million-a-year (18.7 million euros) project had run from 2007-2012. It was lead by Luis Elizondo, who resigned in October over the programme’s excessive secrecy, according to the New York Times (NYT). Elizondo then founded To The Stars Academy of Arts and Science, a research organisation that investigates ‘the outer edges of science’. 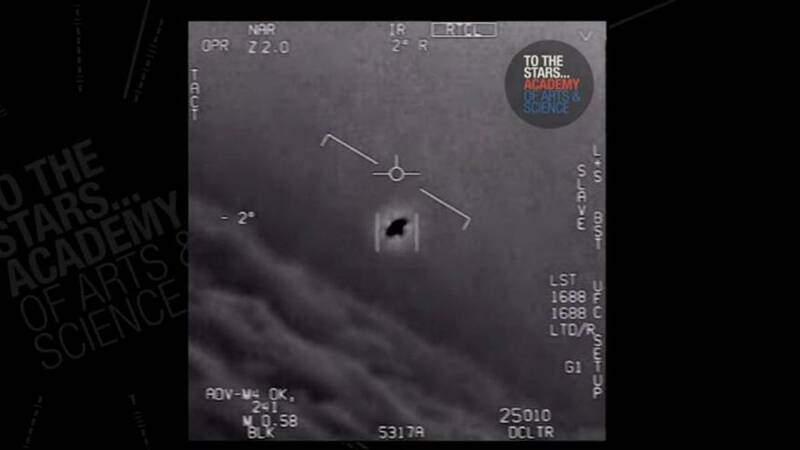 The academy has now released what it says are two declassified US military videos of government efforts to track potential UFOs. It says both videos come with documentation that prove they are authentic and have not been altered. The first one purports to show an unknown object being picked up by a US fighter aircraft’s infrared device. The second video, meanwhile, is said to be of another fighter aircraft allegedly encountering an unknown object in 2004. The programme’s initial funding came largely at the request of former Senate Democratic leader Harry Reid, the Nevada Democrat long known for his enthusiasm for space phenomena, reported the NYT. The newspaper said according to its backers the programme remains in existence and officials continue to investigate UFO episodes brought to their attention. But the Pentagon was less clear about whether the UFO programme continues to hover somewhere in the vast universe of the US defence establishment. "The Advanced Aviation Threat Identification Program ended in the 2012 timeframe," Pentagon spokeswoman Laura Ochoa said in an email to Reuters. "It was determined that there were other, higher priority issues that merited funding and it was in the best interest of the Department of Defense to make a change," she said. "The Department of Defense takes seriously all threats and potential threats to our people, our assets, and our mission and takes action whenever credible information is developed," Ochoa added.